Not much to report for the new year. Lots of puttering. There was a lot of activity in the week between Christmas and the new year. Both kids returned to their respective homes. Ashlan got off on time in the wee hours, but was delayed in Chicago. Rey one upped her a few days later by leaving Seattle the day after the original schedule, and then enduring a delay in Atlanta. You may notice that certain presents you receive you may not initially rank at the top of the list, but it turns out they are really useful. 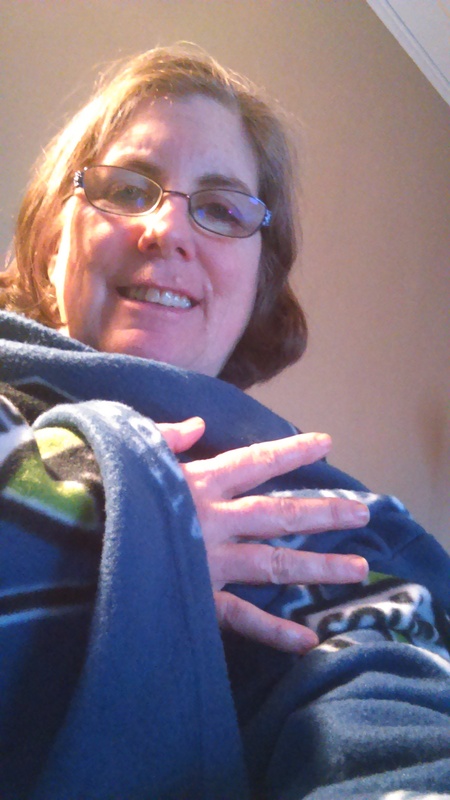 This year that gift was a Sounders blanket from a friend. It was opened and in proximity when I got cold and pulled it over my legs. The next day I reached for it again, and while arranging and rearranging discovered it was a snuggie, with arms. It has not left the couch since. It’s cold enough today to warrant some extra covers. We went out for a walk as the weather started to get less sunny. As the walk progressed it started to snow. At some point it got a bit wetter, and colder. There is some speculation that tomorrow will start with snow on the ground. During the walk our Certified Public Counter saw 63 North Face jackets and only 37 people with Seahawk apparel. 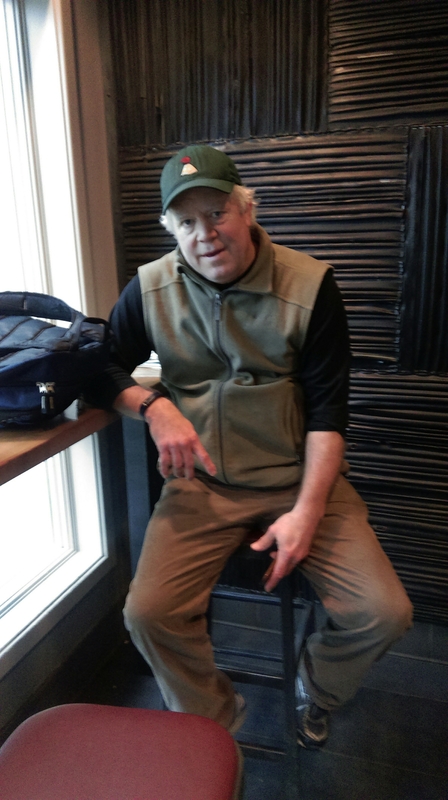 To prepare for the last mile we stopped in a Starbucks for a warm up. And a flock of wigeons, some coots, mallards, Canada geese, and Green Lake hybrids. Did not count dogs today, but there were several. The most interesting was trying to pick out things that were probably Christmas presents. The most obvious were bicycles, slightly too large for the kids trying to reach the pedals. I am sure most will fit perfectly by the spring. Not the white Christmas we hope for. But just in time for everyone to return to work. (I have really been enjoying the lack of commute traffic.) At our house we have taken down the tree and the lights that could be seen from the sidewalk. And the Doris wall of ornaments. I have retained the lights over the front window and in the kitchen. They continue to brighten our dark days and nights. On a more mundane note I have started the annual compiling of the past years expenses. Nothing too surprising. Less in entertainment and medical than expected. The entertainment reduction was simply the result of paying for playoffs in 2014 that never happened and then using that credit to pay for 2015 tickets. The 2015 medical expenses will come home to roost in 2016. Taxes in the offing. This entry was posted on January 3, 2016 at 5:12 pm and is filed under Uncategorized. You can follow any responses to this entry through the RSS 2.0 feed. You can skip to the end and leave a response. Pinging is currently not allowed. Damn Carl, you look good!